What’s an event without a touch of sweetness? No matter what type of event you’re hosting, having a few decadent sweets is an absolute must. 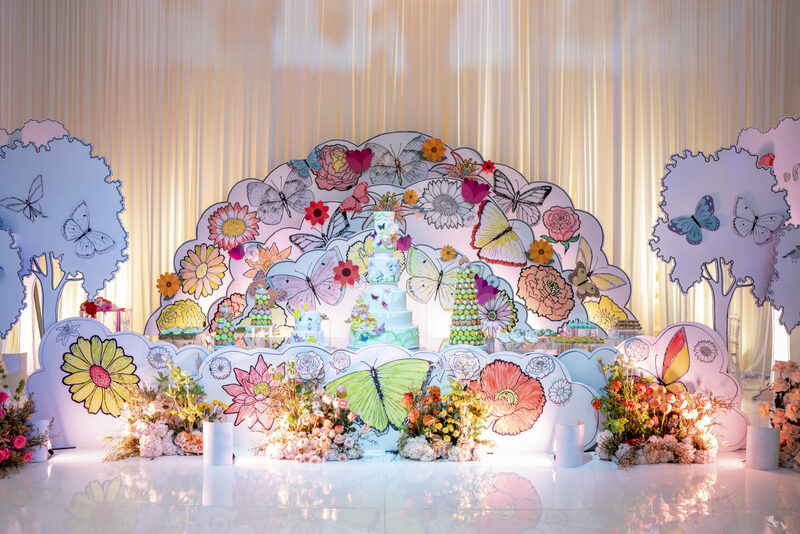 Our custom dessert stations at Taglyan will add a touch of whimsical uniqueness to your already-stunning event. Whether you’re planning on having a buffet station or family-style dining, the addition of a dessert station will captivate your guests on a whole new level, leaving them impressed as they indulge in our freshly-made, extraordinary desserts. Elevate your wedding, social, or corporate event to another level by giving it a theme! Our vendors, designers, and in-house catering service will create a dazzling, flawless dessert station tailored to the theme of your choosing. Our guests typically have a vision in mind for what their event will look like, but they don’t always think about how food and desserts may be incorporated into that vision. A themed dessert station can make a big addition to what you already have in mind for your event. 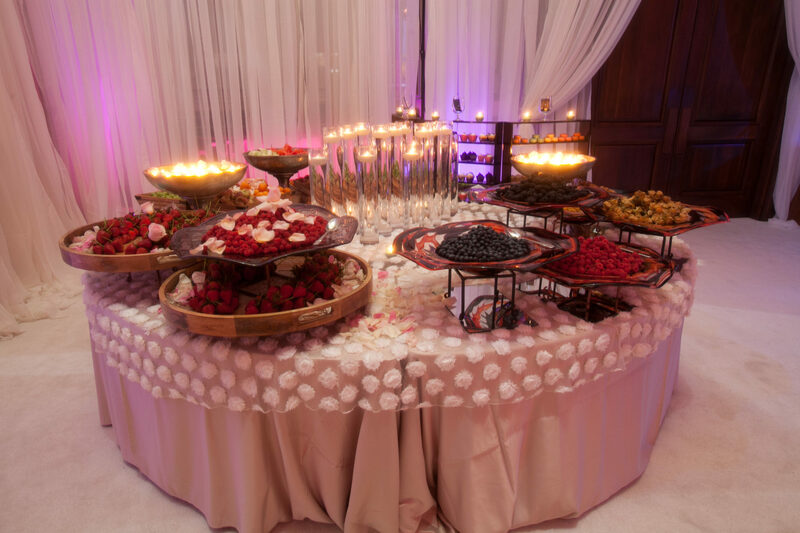 Alongside a dessert station, at Taglyan we can offer your guests an exotic fruit station to truly kick your event up a notch. Treat your guests to a variety of fresh fruits to go along with your dessert station or cake. Fruit stations—like our dessert stations—can be complementary to your cake, or they can stand alone. Our vendors and designers will create a gorgeous station fit for royalty that your guests will absolutely love. If your event has a specific theme, our team can create a fruit station display that compliments that theme. To add an extra touch of sophistication to your event and dessert stations, we can also design matching stationery to elegantly state what fruits and desserts are display. Our stationery takes already-elegant dessert or fruit stations and enhances them to be even more impressive. If you’re planning an upcoming event at Taglyan, be sure to speak with us about our speciality stations to satisfy your guests’ sweet tooth and wow the crowd. Looking for some inspired dessert or other catering ideas for your event? Take a look at the incredible recipes from one of our favorite catering companies, Miami’s Eggwhites Special Event Catering.